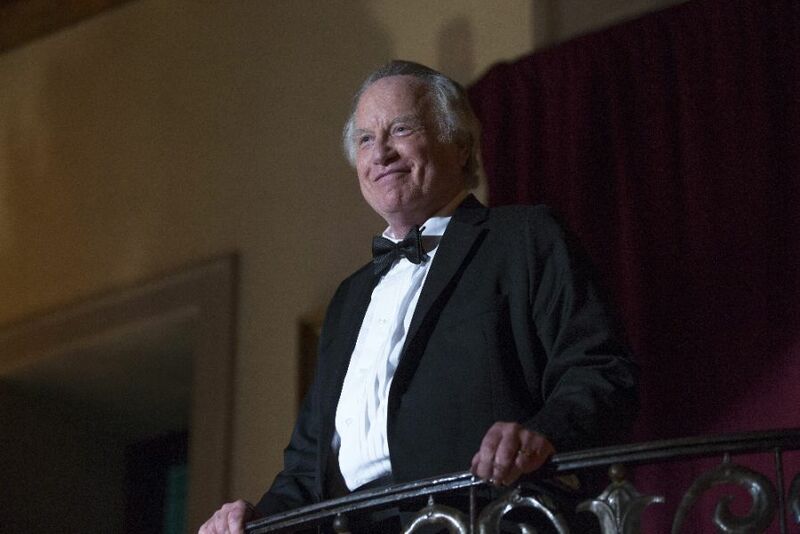 ABC was really smart when casting Richard Dreyfuss for the role of Bernie Madoff for this week’s miniseries, "Madoff." I probably wouldn’t have bothered watching it if a lesser-known actor were to play the part. The whole Madoff scandal story didn’t really interest me before this casting news. Now that I’ve seen it, I’m really glad that I did. It’s not a happy or uplifting story of course, and despite the fact that so many people fell victims to the one of the greatest cons in U.S. history, the miniseries is really a story about how one man destroyed his family. There’s also a few cautionary tales to boot. Bravo to ABC and director Raymond De Felitta for telling the sordid story in such an un-sordid way. Of course, being shown on ABC, the network was limited on what language could be used and so forth, but De Felitta proved that you don’t need to make viewers feel like they need to take a shower to wash off all of the gunk from watching such a spectacle. One thing that I feared about watching "Madoff" was that I wouldn’t understand it. I still don’t completely, but as it turns out, the whole operation was much simpler than I could have imagined. Writer Ben Robbins did a great job of boiling down the facts for viewers like me. In short, the story is like the gospel – simple and yet difficult at the same time. During the Madoff trials, Bernie’s family said that they were innocent and were unaware of the patriarch’s bad practices. Many of us wondered how they couldn’t have known about his crooked deals. This miniseries aims to show just how. It appears that Madoff tried to shield his family from the unsavory practices of his Ponzi scheme by purposing leaving them out of crucial conversations which in turn, created hard feelings between them. The "Madoff" miniseries appears to be told from Mr. Madoff’s point of view as he narrates every scene giving the viewer pointers as he goes on. Near the beginning, we see the Madoff family enjoying a family dinner together. Bernie is playing on the floor with his grandchildren while making a deal over the phone. The kids have no idea what grandpa is saying, but they are enjoying playing with him. That seems to be Madoff’s way of dealing with most people in his life. Telling them what they want to hear and give them reasons, however false they may be, to trust him. Bernie Madoff tried to separate his work life from his family life and here is where the cautionary tale comes in. If you think you can operate one area of your life without integrity and not have it spill over into other areas of your life, you are sorely mistaken. Like Madoff, too many Christian business men tend to divide their lives into two sections as well. The family side where they try to live as example to their children by taking them to church, staying faithful their wife etc. Then, there’s the business side where ethics are allowed to be sketchy, because “that’s just business.” Little embellishments, flatteries and what not that would not be tolerated in the household are considered acceptable behavior in the business world. Too many pastors have fallen because of this type of thinking as well. The entire cast of "Madoff" is excellent. Dreyfuss looks terrible (which is a good thing), while Blythe Danner, who plays Madoff’s wife, Ruth, looks beautiful as ever. Her only flaw is that her New York accent comes and goes. Tom Lipinski plays Madoff’s hot-headed older son, Mark who gets a few scene-stealing moments and Danny Defarrai plays Andrew, the younger son who battles cancer. Former “Bosom Buddy,” Peter Scolari, gets a chance to really show his acting chops as Madoff’s younger and more emotional brother, Peter. The miniseries also stars Erin Cummings ("The Astronaut Wives Club") as Madoff’s personal secretary, Eleanor Squillair, Michael Rispoli ("Those Who Kill") as Madoff’s secret weapon, Frank DiPascali and Frank Whaley ("Under the Dome") as Harry Markopolos, the guy who blew lid off this operation. Richard Dreyfuss’ son, Ben, plays a younger version of himself playing a younger version of Madoff in a flashback scene. There is even a little room left for small roles from Charles Grodin and Lewis Black. All in all, "Madoff" starts off fairly calm and slowly turns up the heat. The dramatic tension is really brought up in the second act and each layer of Madoff’s kingdom is taken down brick by brick. The end of the special features a few real victims of the crime which just makes your heart sink. This leads to a questionable scene where Madoff breaks the fourth wall to turn to the camera and offer a last bit of smugness that will make you want to slap your TV.